We create gifts with meaning and emphasis not only in the product itself but also in the appearance of the whole package. 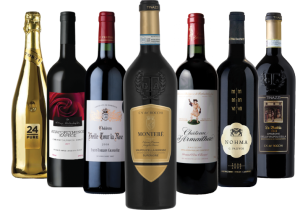 A top quality wine or beverage, accompanied with premium chocolates, is the ultimate business or corporate gift you can offer. Show us your trust and we shall prepare for you amazing gifts with products of your choice. We offer a great variety of wines, beverages and accessories, with the ability to accompany them with chocolates, biscuits and foie gras, giving you unlimited choices that satisfy all tastes. With the help of our experienced staff you can choose the ideal gift for you business partners or colleagues, your friends or loved ones. We can deliver your gifts with safety and at excellent condition throughout Cyprus.